The last time Newcastle United spent more than £10million on a footballer, Kevin Keegan was still peddling dreams at St James’ Park and Joe Kinnear was but a twinkle in Mike Ashley’s eye. It was August 2008 and Fabricio Coloccini was the signing which stirred Keegan’s passions. “We have footballer there,” he beamed in the press conference before the season opener at Old Trafford. The positivity was not typical – Keegan didn’t generally do much smiling second time around the block in the North East. Since then, 12 Premier League teams have completed transfers worth more than eight figures. You’ll know the usual suspects but add Stoke, Fulham, Sunderland (three times), Cardiff, Swansea and Southampton to that mix. Those are just the confirmed ones. There are two points to take from that and the first is spending big does not necessarily make you successful. Fulham and Cardiff have both been relegated and Sunderland’s spending on Asamoah Gyan, Darren Bent and Steven Fletcher did not take them to the promised land. Southampton’s £15million was spent on Dani Osvaldo - hardly a moment of triumph at St Mary’s. Money isn’t everything and it is worth noting some of Newcastle’s best buys have come in the Graham Carr era. Pound-for-pound, Yohan Cabaye is probably United’s best buy since Alan Shearer (who proved, ironically, something of a snip at £15million). Yet there is something else to consider here. They have been out of that ‘big signing’ loop so long I wonder whether anyone at Newcastle has the appetite to spend that kind of money any more. It is not the fact the cash isn’t there, £19m was banked for Yohan Cabaye and the club have a sizeable budget, but spending more than £10m requires a certain mentality and desire to drive through a deal. It also requires someone, somewhere to take the risk of asking Mike Ashley to give it the green light – and that would require someone to put their heads above the parapet. Deals around £6m are not so much of a risk. When Vurnon Anita misplaces a pass, no one yells in exasperation about his price tag. No one really complains about Cisse either, even though he was a £9m buy. Creep towards the £10m mark and suddenly you’re taking a major risk. The price tag is a story. When Fletcher signed for Sunderland it was not until he’d collected ten goals before Christmas people stopped making that the first question in every interview. The problem here is Newcastle need two strikers and forwards do not come cheap. Ross McCormack, ridiculously, seems to be in the £10million plus bracket. No one would advocate lavishing that sort of money on such ordinary talent but sometimes a calculated, educated gamble can push a club on. Will Newcastle be prepared to make that leap, for the first time since 2008? It is a worthy aim to try and make Newcastle the best “pound-for-pound” club it can be. It is not a stick to beat Lee Charnley round the head with, even if it was ill-advised to highlight that as one of your main objectives in a mission statement. Yet it should not mean Newcastle aren’t prepared to break that eight-figure barrier. The transfer window is measured by potential, possibility and money poured into squads. On Tyneside we have taken to using another commodity - time. There are 62 days between now and deadline day on September 1 and it feels like there is much work to do. United are playing things out against a suffocating backdrop of cynicism and they have only themselves to blame for that. Alan Pardew has been guilty of saying so many things which have not happened Newcastle fans now treat his utterances as if they are sincere as a Luis Suarez apology. His promises mean very little. The good news is the noises are getting more optimistic from St James’ Park. It is not time for bullishness but one agent speaks of United’s desire to get deals done. They are still after six and Remy Cabella should be prised away from Montpellier after the World Cup. There are no surprise names on the horizon at the moment, just well-scouted and well considered targets. They want offensive, creative players and there is money to get them. The message is Charnley is no Kinnear and United are not paralysed by the problems of last summer. There is an appreciation of where they stand and what they need. If it happens, it will not be before time. 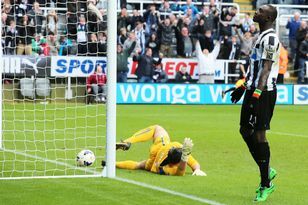 These could be the two most important months in Newcastle United’s recent history.